Lately, if you stepped into a Sanrio boutique store, you will notice that the pens have gotten a "makeover" change. It has a different appearance and feel to it since it looks like an ordinary office stationery ballpoint pen, but with a kawaii touch added to it. I bought this pen pictured above -- thinking that it's cute and something to use at my office desk. As a pen, it did it's job. Writes on paper perfectly. No ink smears. A regular office pen. It was through an accident that I discovered that the image design on the pen can be easily erased by water. 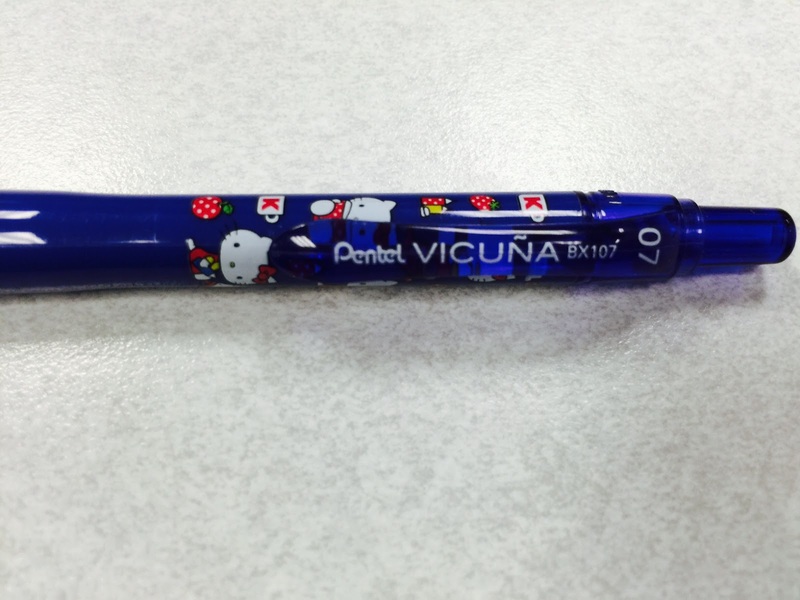 I bought this pen for one reason only and that was because it had Hello Kitty on it. It had a Sanrio brand on it. I had accidentally spilled water on my desk and this Pentel collaborated pen had been nearby. 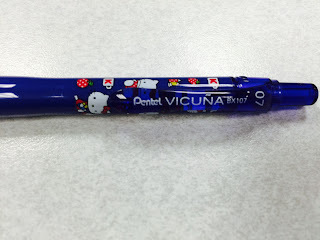 I had assumed that the kawaii design print on the pen was permanent. Simply having water on it and wiping it dry to have the design disappear-- makes the pen seem like it was a waste of a product. I wanted a Hello Kitty pen with cute images to last forever. With the images off, it was just an ordinary plain blue pen. I felt like I wasted my money. I think I will just stick to the pens that are cutely decorated all over like I have been buying over the years from Sanrio.